Ohhh dear. This isn’t even a pun or some kind of sly joke. This twitter handle just puts everything out there. Does a robot run the Pats twitter account? Because if a human being does there’s no way they don’t catch this. It’s just too obvious. Is this how you get 1 million followers, Patriots? Last time I checked its not 1960s Mississippi. You can’t be thanking people with that kind of Twitter handle. Settle for 999,999 and leave the racism on the sideline. 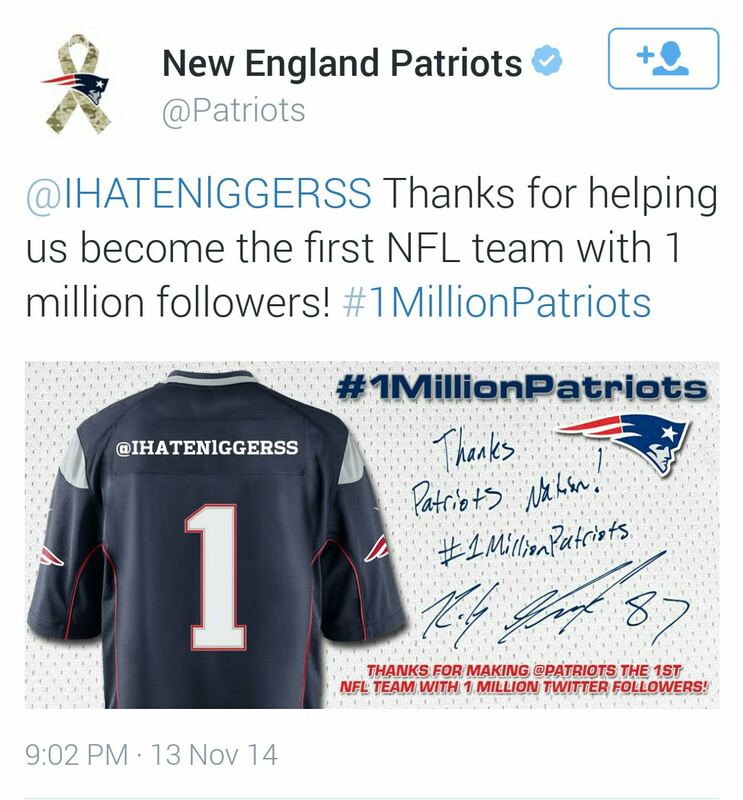 Posted on November 14, 2014, in Average Blog Posts and tagged new england patriots twitter, NFL, patriots. Bookmark the permalink. Leave a comment.